The endoplasmic reticulum (ER) is responsible for folding and processing proteins entering the secretory pathway. Because the flux of proteins through the ER varies considerably among cell types and in different conditions, cells maintain a balance between the load on the ER and its protein folding capacity. However, a number of biochemical, physiological, and pathological stimuli can disrupt this balance, resulting in ER stress. To re-establish ER homeostasis, the unfolded protein response (UPR) is activated. This network of pathways up-regulates genes encoding ER-specific chaperones and other proteins involved in protein secretion while also attenuating protein translation and degrading certain ER-associated mRNAs. The UPR is broadly conserved across eukaryotes and is essential for normal development in several model organisms, particularly for professional secretory cells, where it is thought to be important for the establishment and maintenance of high levels of protein secretion. It is also induced during many metabolic conditions, including diabetes, hyperlipidemia, and inflammation, and has been implicated in various cancers, especially in the growth of large tumors that rely on an effective response to hypoxia (Lee, 2015 and references therein). The UPR is carried out by three main signaling branches. One of these is initiated by the ER transmembrane protein inositol-requiring enzyme 1 (Ire1). When activated by ER stress, the cytosolic endoribonuclease domain of Ire1 cleaves the mRNA encoding the transcription factor Xbp1, thereby initiating an unconventional splicing event that produces the mRNA template encoding a highly active form of Xbp1. Ire1 also cleaves other mRNAs associated with the ER membrane through a pathway that is particularly active in Drosophila cells and that may reduce the load on the ER. A second sensor of ER stress, activating transcription factor 6, is activated by proteolysis, which releases it from the ER membrane and allows it to travel to the nucleus and regulate gene expression. Finally, protein kinase RNA−like ER kinase (Perk) phosphorylates eukaryotic initiation factor 2 alpha, leading to a general attenuation of protein synthesis as well as the translational up-regulation of certain mRNAs that contain upstream open reading frames (ORFs) in their 5′ untranslated regions. In addition to its direct effects on the protein secretory pathway, the UPR influences several other cellular pathways, including apoptosis, inflammation, and lipid synthesis. Furthermore, the UPR (particularly the Perk/Atf4 branch) appears to have close ties to mitochondrial function (Lee, 2015 and references therein). ER stress can be a primary cause and a modifier of many important human diseases. For example, diabetes is a common metabolic disease, caused by misregulation of blood glucose levels. Mutations in both PERK and XBP1 cause diabetes-like symptoms in mouse and humans. Similarly, adipose tissue from obese human individuals shows up-regulation of several key proteins involved in the UPR relative to levels of these proteins in adipose tissue of lean individuals. ER stress has also been implicated in the pathogenesis of several human neurological diseases, including Parkinson disease, polyglutamine diseases, amyotrophic lateral sclerosis (ALS), and Alzheimer’s disease. Alteration of the UPR may worsen the disease. For example, in animal models of ALS, second-site mutations that increase ER stress result in earlier onset of disease and more severe symptoms. An individual’s ER stress response can be an important factor in determining disease severity. To understand the extent to which ER stress responses can act as a modifier of disease, it is critical to understand the extent and nature of the variation in ER stress responses (Chow, 2013 and references therein). Endoplasmic reticulum (ER) stress results from an imbalance between the load of proteins entering the secretory pathway and the ability of the ER to fold and process them. The response to ER stress is mediated by a collection of signaling pathways termed the unfolded protein response, which plays important roles in development and disease. This study shows that in Drosophila melanogaster S2 cells, ER stress induces a coordinated change in the expression of genes involved in carbon metabolism. Genes encoding enzymes that carry out glycolysis are up-regulated, whereas genes encoding proteins in the tricarboxylic acid cycle and respiratory chain complexes are down-regulated. The unfolded protein response transcription factor Atf4 is necessary for the up-regulation of glycolytic enzymes and Lactate dehydrogenase (Ldh). Furthermore, Atf4 binding motifs in promoters for these genes could partially account for their regulation during ER stress. Finally, flies up-regulate Ldh and produce more lactate when subjected to ER stress. Together, these results suggest that Atf4 mediates a shift from a metabolism based on oxidative phosphorylation to one more heavily reliant on glycolysis, reminiscent of aerobic glycolysis or the Warburg effect observed in cancer and other proliferative cells (Lee, 2015). ER stress induces a coordinated change in metabolic gene expression in S2 cells. Atf4 regulates glycolytic genes and Ldh during ER stress. Atf4 binding sites in the Ldh and Pfk promoters are important for regulation by ER stress. Ldh expression and lactate levels are increased in Drosophila melanogaster exposed to ER stress. This study shows that D. melanogaster S2 cells subjected to ER stress up-regulate glycolytic genes and Ldh and down-regulate genes involved in the TCA cycle and respiratory chain complex. Furthermore, Atf4 is responsible for the up-regulation of glycolytic genes and Ldh. How TCA cycle and respiratory chain complex genes are down-regulated during ER stress requires further investigation, although the lack of effect of Atf4 depletion suggests that these are not regulated as an indirect consequence of glycolysis up-regulation (Lee, 2015). Despite a highly coordinated change in gene expression for metabolic genes during ER stress, any changes in actual metabolism in S2 cells were not detected. Because these cells have been in culture for decades and have likely been selected for rapid proliferation, it is possible that they are already undergoing some version of aerobic glycolysis, such that the underlying gene regulation during ER stress is preserved but any metabolic changes are masked. Others have also noted that S2 cells are resistant to hypoxia, and do not produce more lactate except in extreme conditions. The increase in lactate observed through in vivo studies in flies subjected to ER stress, however, suggests that in a more physiological setting, the gene expression changes shown here do mediate a metabolic shift toward aerobic glycolysis (Lee, 2015). Up-regulation of glycolytic genes during ER stress has not been observed in genome-wide studies of mammalian cells. However, several lines of evidence suggest that mammalian cells subjected to ER stress may undergo a glycolytic shift. For example, a recent study examining human gliomas found coordinated up-regulation of UPR targets and glycolysis, which correlated with poor patient prognosis; and both ER stress and overexpression of Perk have been shown to reduce mitochondrial respiration in cultured mammalian cells (Lee, 2015). The link between ER stress and metabolism can be rationalized by the need to generate building blocks for biosynthesis of glycoproteins and lipids. Early intermediates of glycolysis are necessary for production of uridine diphosphate-N-acetylglucosamine (UDP-GlcNAc), an important donor molecule for N-glycosylation of proteins in the ER. Both fructose-6-phosphate and dihydroxyacetone phosphate also are required for synthesis of glycolipids. An increased flux through glycolysis may therefore be important to support the increased production of glycerophospholipids and glycoproteins that are associated with the UPR. In support of this view, glucose deprivation or inhibition of glycolysis with 2-deoxy-D-glucose induces the UPR, which contributes to cell death, especially in cancer cells, and this effect can be rescued by UDP-GlcNAc. The hexosamine biosynthetic pathway generating UDP-GlcNAc is also directly activated by Xbp1, stimulates cardioprotection during ischemia/reperfusion injury, and increases longevity in worms (Lee, 2015). A second, nonmutually exclusive explanation for a shift to glycolysis during ER stress is the need to limit production of ROS. Along with mitochondrial respiration, protein folding in the ER is one of the main sources of ROS, which are produced by the normal process of disulfide bond-coupled folding. If allowed to accumulate, these ROS can cause oxidative stress and damage to cells, eventually leading to apoptosis. Several studies have confirmed that ROS are produced during ER stress, when protein folding is inefficient and more rounds of oxidation and reduction are required to fold proteins. Limiting other sources of oxidative stress, such as by down-regulating the TCA cycle and thereby restricting the flux through OXPHOS (the main source of ROS in the mitochondria), may be a way to mitigate the damage and allow cells to recover more effectively (Lee, 2015). Finally, the advantage of the Warburg effect for tumor growth may arise from the increased rate of ATP production by glycolysis compared to OXPHOS, despite its lower efficiency of conversion. By analogy, a metabolic shift during ER stress could rapidly supply ATP necessary for protein folding and processing. Indeed, cancer cells showing elevated levels of ENTPD5, an ER UDPase, promotes aerobic glycolysis to increase ATP for protein N-glycosylation and refolding (Lee, 2015). Overall, results of this study identify Atf4 as a transcriptional regulator of glycolysis during ER stress. As Atf4 is expressed throughout fly development, it may regulate glycolysis in other situations as well: notably, Atf4 mutant flies are lean and have reduced circulating carbohydrates, suggesting a role in metabolism. Furthermore, because the Perk-Atf4 branch of UPR is activated during hypoxia, it will be interesting to see whether Atf4 contributes to regulation of glycolysis in other developmental, physiological (hypoxia), or pathological process during which glycolysis regulated. More broadly, because the UPR is activated in many types of cancer, its ability to regulate glucose metabolism may play a contributing role in the Warburg effect (Lee, 2015). Cytoplasmic Ca2+ overload is known to trigger autophagy and ER-stress. Furthermore, ER-stress and autophagy are commonly associated with degenerative pathologies, but their role in disease progression is still a matter of debate, in part, owing to limitations of existing animal model systems. The Drosophila eye is a widely used model system for studying neurodegenerative pathologies. Recently, the Drosophila protein, Calphotin, has been characterized as a cytosolic immobile Ca2+ buffer, which participates in Ca2+ homeostasis in Drosophila photoreceptor cells. Exposure of calphotin hypomorph flies to continuous illumination, which induces Ca2+ influx into photoreceptor cells, results in severe Ca2+-dependent degeneration. This study shows that this degeneration is autophagy and ER-stress related and thus provides a new model in which genetic manipulations trigger changes in cellular Ca2+ distribution. This model constitutes a framework for further investigations into the link between cytosolic Ca2+, ER-stress and autophagy in human disorders and diseases (Weiss, 2015). Elimination of calphotin induces severe age- and light- dependent photoreceptor degeneration. Enhanced autophagy in Cpn hypomorph flies. Activation of ER-stress in Cpn1% flies. Autophagy and ER-stress are highly conserved during evolution as many other essential cell maintenance pathways. Autophagy has been implicated in several pathologies, including protein aggregate disorders, neurodegeneration and cancer. Both autophagy and ER-stress are commonly associated with degenerative pathologies, but their role in disease progression is still a matter of debate. Many human genes, implicated in degenerative diseases, have orthologs in Drosophila. Studies in fly models have identified novel factors that regulate these diseases; therefore, Drosophila is a powerful model system for studying these genes (Weiss, 2015). An illuminating example is the Drosophila model for class III autosomal dominant retinitis pigmentosa (ADRP), in which ER-stress has been shown to play a protective role against retinal degeneration. Moreover, it has been shown that when Drosophila cells (both photoreceptors and S2 cells) are pre-exposed to a mild ER-stress, they are protected from treatments with various cell death agents. It has also been shown recently that activation of mild ER stress is neuroprotective, both in Drosophila and mouse models of Parkinson disease, and this protection is a consequence of autophagy activation. Accordingly, it is well established that activation of the ER-stress response by accumulation of misfolded proteins (unfolded protein response, UPR) can trigger autophagy (Weiss, 2015). It is well established that elevation of intracellular Ca2+ can trigger autophagy. The stimulation of autophagy by elevated cytosolic [Ca2+] has been studied mainly in tissue culture cells, in which mobilization of Ca2+ is triggered by application of various Ca2+ mobilizing agents (e.g. thapsigargin, ionomycin, vitamin D). However, since increased cytosolic [Ca2+] also activates ER-stress which induces autophagy, a question arises as to whether the activation of autophagy by Ca2+ is induced directly or indirectly via activation of ER-stress. The fact that thapsigargin-induced autophagy occurs in UPR-deficient cells, suggests a direct involvement of Ca2+ in the induction of autophagy. Although Ca2+ regulation of autophagy has been found to be mediated through the activation of Bcl-2 and calmodulin-dependent kinase kinase-β, the target by which Ca2+ activates autophagy directly is yet to be elucidated. These unsolved issues can be conveniently addressed in the new model of Ca2+ induced autophagy in Drosophila photoreceptor cells (Weiss, 2015). Neurodegenerative diseases, such as Parkinson, Alzheimer and Huntington’s diseases are accompanied by the accumulation of large aggregates of mutant proteins and are autophagy associated diseases. These autophagy associated diseases, which are characterized by abnormal protein aggregations, have highly developed model systems of Drosophila. The increased autophagosome formation observed in these diseases, may play a pro- tective role by degrading misfolded proteins. Many of the above diseases, including Parkinson and Alzheimer diseases, are also associated with reduced cellular Ca2+ buffering and impairments in cellular Ca2+ homeostasis reminiscent of Drosophila photoreceptors with reduced calphotin. Therefore, combining the Drosophila models of autophagy associated diseases with calphotin hypomorph can be very useful for studying the possible link between reduced cellular Ca2+ buffering and neurodegeneration (Weiss, 2015). In the genetic fly model of calphotin hypomorph, reduced calphotin levels, which trigger changes in cellular Ca2+ homeostasis allows induction of Ca2+ induced autophagy, simply by changing the illumination conditions of the flies’ environment. Accordingly, both the severity and progression of the observed degeneration can be highly controlled and manipulated. The degeneration process of this experimental model is sufficiently slow, allowing monitoring the progression of the degeneration process and elucidation of the involved proteins. Thus, the Drosophila Cpn hypomorph photoreceptor cells constitutes a powerful model, in which genetic manipulation combined with illumination determine the level of sustained cellular Ca2+ that trigger the induction of Ca2+ dependent autophagy, ER- stress and cell death. This model can provide a framework for further investigations into the link between cytosolic Ca2C, ER-stress and autophagy in human disorders and diseases (Weiss, 2015). Drosophila Fic (dFic) mediates AMPylation, a covalent attachment of adenosine monophosphate (AMP) from ATP to hydroxyl side chains of protein substrates. This study identified the endoplasmic reticulum (ER) chaperone BiP as a substrate for dFic and mapped the modification site to Thr-366 within the ATPase domain. The level of AMPylated BiP in Drosophila S2 cells is high during homeostasis, whereas the level of AMPylated BiP decreases upon the accumulation of misfolded proteins in the ER. Both dFic and BiP are transcriptionally activated upon ER stress, supporting the role of dFic in the unfolded protein response pathway. The inactive conformation of BiP is the preferred substrate for dFic, thus endorsing a model whereby AMPylation regulates the function of BiP as a chaperone, allowing acute activation of BiP by deAMPylation during an ER stress response. These findings not only present the first substrate of eukaryotic AMPylator but also provide a target for regulating the unfolded protein response, an emerging avenue for cancer therapy (Ham, 2014). BiP is a substrate for dFic. Recombinant BiP is AMPylated by dFic in vitro. AMPylation of BiP is modulated by ER stress. AMPylation of BiP is a reversible event. AMPylation site maps to Thr-366 in the ATPase domain of BiP. AMPylation of BiP by dFic correlates with the inactive state of BiP. AMPylation of BiP is reversibly regulated during ER homeostasis. AMPylation appears to be a promising posttranslational regulatory mechanism adopted by organisms of varying complexity due to the high conservation of Fic domains and its use of ATP as a substrate. Bacterial AMPylators have already been shown to play an essential role in hijacking host signaling pathways during pathogenesis, but the endogenous function of AMPylation in eukaryotes remained elusive. This study presents BiP, a well known ER chaperone and a major regulator of UPR, as the first substrate of AMPylation by a eukaryotic protein. BiP from the whole S2 cell lysate was predominantly labeled by dFic enzyme in the presence of divalent cations Mg2+, Mn2+, and Ca2+. ER is a major organelle for calcium storage with the concentration of calcium ions in the lumen in the millimolar range. Therefore, having calcium ions in the reaction may better mimic the chemical environment in the ER. It has also been reported that Hsp70 chaperones bind to calcium ions, which may stabilize the protein structure. The stable conformation of BiP achieved by calcium binding may render it a better substrate for dFic (Ham, 2014). The essential role of BiP in ER stress response and many cellular and pathological processes supports the notion that there may be multiple mechanisms for its regulation. Upon ER stress, BiP is transcriptionally activated to assist in the folding of high levels of unfolded proteins. However, the dynamic fluctuation of unfolded protein loads in the ER due to stress response or alternating rates of protein synthesis may require a more rapid regulation of BiP. This is also supported by the discrepancy between the long half-life of BiP, which is up to 48 h, and its excess activity being detrimental to cells, as maturation and secretion of critical proteins can be significantly delayed. A post-translational modification provides an ideal mechanism to readily activate and deactivate BiP upon changes in unfolded protein loads in the ER. Previously, ADP-ribosylation has been suggested to inactivate BiP by attenuating substrate binding and interfering with the allosteric coupling between domains. In contrast to AMPylation, which was observed in the ATPase domain, ADP-ribosylation occurs in the substrate binding domain on arginine residues (Arg-470 and Arg-492). Therefore, this study speculates that BiP undergoes different modifications on both domains, ensuring its tight regulation at multiple levels. The exact molecular event triggering such modifications or the order in which they occur remains to be explored. Furthermore, identifying the enzyme that catalyzes the rapid deAMPylation of BiP during ER stress and understanding its functional consequence will be of great interest (Ham, 2014). AMPylation occurs on a conserved threonine residue located near the ATP binding pocket, which suggests that AMPylation may affect the ATPase activity of BiP by either blocking nucleotide binding or inhibiting efficient ATP hydrolysis. Unfortunately, the inverse relationship of BiP suitability for AMPylation and its ATPase activity makes the measurement of activity differences caused by AMPylation technically challenging (Ham, 2014). Another possible inhibitory mechanism of AMPylation on BiP is uncoupling of two-domain allostery, similar to the effect of ADP-ribosylation. Upon ATP binding, Hsp70 proteins undergo a structural change wherein the two domains come in close contact and form a compact structure. The addition of the bulky AMP moiety can potentially hinder the contact between the domains and thereby disrupt the functional cycle of BiP. From an intermolecular perspective, AMPylation of BiP may also alter its interaction with binding partners such as DnaJ co-chaperone or nucleotide exchange factors (Ham, 2014). Induction of ER stress up-regulates not only BiP but also dFic, which is a surprising result considering that AMPylation of BiP decreases during ER stress. Nevertheless, it suggests that dFic is among many UPR genes that cells use to cope with the stress response. It is possible that dFic is induced along with other chaperones, but its activity or translocation is blocked until the unfolded protein load decreases and BiP has to be promptly inactivated. dFic could then be released from repression and subsequently inactivate BiP. Otherwise, excess levels of active BiP may prolong protein maturation and secretion, which would be deleterious to cells. How dFic is regulated upon ER stress is another interesting avenue to be explored. There might be another layer of posttranslational modification governing the function of dFic. It is also fascinating to speculate that autoAMPylation observed with dFic both in vitro and in vivo might be involved in its own regulation (Ham, 2014). Previous studies have shown that flies without functional dFic in glial cells have impaired visual neurotransmission. This suggests that dFic substrate could be a component of visual signaling or a transporter of neurotransmitters. Alternatively, the blind phenotype could result from a loss of regulation on BiP. It can be speculated that the protein responsible for the visual signaling is not properly matured or secreted in the absence of tight regulation of BiP in dfic null flies, which thereby results in visual defect. Indeed, imbalance of protein homeostasis is a cause of many pathological processes due to accumulation of aberrant protein or impaired protein secretion (Ham, 2014). Interestingly, dFic is mainly localized to the cell surface on glial cells and is particularly enriched in capitate projections in contrast to the ER localization in S2 cells. Therefore, dFic may target a different molecule on the cell surface that could directly impact neurotransmission. It is possible that in glial cells there might be cell type-specific factors that can induce the secretion of dFic from the ER to cell surface (Ham, 2014). It was shown that human Fic also AMPylates BiP in vitro and that it is transcriptionally activated by ER stress. This suggests that AMPylation is a conserved regulatory mechanism in multiple species possibly involved in UPR. As both Fic and BiP are highly conserved in many organisms, it will be worth investigating the role of AMPylation in other species (Ham, 2014). Understanding the regulatory mechanism of BiP is of utmost importance, as misregulation of BiP is associated with numerous diseases including neurological disorders and various cancers. An increased level of BiP is a critical factor for tumor progression and has been shown to confer chemoresistance to a variety of cancer cell lines. Accordingly, inhibition of BiP activity is emerging as an important cancer target. The discovery of BiP AMPylation and deAMPylation presents a new targetable avenue for drug development (Ham, 2014). Endoplasmic reticulum (ER) stress is an important modifier of human disease. Genetic variation in response genes is linked to inter-individual differences in the ER stress response. However, the mechanisms and pathways by which genetic modifiers are acting on the ER stress response remain unclear. This study characterized the role of the long chain fatty acid elongase Baldspot (ELOVL6) in modifying the ER stress response and disease. Loss of Baldspot rescues degeneration and reduces IRE1 and PERK signaling and cell death in a Drosophila model of retinitis pigmentosa and ER stress (Rh1G69D). Dietary supplementation of stearate bypasses the need for Baldspot activity. Finally, it was demonstrated that Baldspot regulates the ER stress response across different tissues and induction methods. These findings suggest that ELOVL6 is a promising target in the treatment of not only retinitis pigmentosa, but a number of different ER stress-related disorders (Palu, 2018). The endoplasmic reticulum (ER) has a major role in protein folding. The accumulation of unfolded proteins in the ER induces a stress, which can be resolved by the unfolded protein response (UPR). Chronicity of ER stress leads to UPR-induced apoptosis and in turn to an unbalance of tissue homeostasis. Although ER stress-dependent apoptosis is observed in a great number of devastating human diseases, how cells activate apoptosis and promote tissue homeostasis after chronic ER stress remains poorly understood. Using the Drosophila wing imaginal disc as a model system, this study validated that Presenilin overexpression induces chronic ER stress in vivo. In this novel model of chronic ER-stress, it was observed that PERK/ATF4-dependent apoptosis requires downregulation of the antiapoptotic diap1 gene. PERK/ATF4 also activates the JNK pathway through Rac1 and Slpr activation in apoptotic cells, leading to the expression of Dilp8. This insulin-like peptide causes a developmental delay, which partially allows the replacement of apoptotic cells. Thanks to a novel chronic ER stress model, these results establish a new pathway that both participates in tissue homeostasis and triggers apoptosis through an original regulation (Demay, 2014). Overexpression of Presenilin leads to both ER stress and PERK/ATF4-dependent cell death. ER stress-induced cell death does not induce proliferation but causes a general Dilp8-dependent developmental delay. JNK pathway activation in apoptotic cells depends on PERK/ATF4 and controls a developmental delay. A Rac1/Slpr-dependent JNK pathway regulates developmental delay after ER-stress. As previously reported in mammalian cells, this study validated that Psn overexpression can provoke chronic ER stress in Drosophila. In mammalian models, the UPR branches can display opposite roles depending on the model. For example, Perk can be either anti or proapoptotic. Using a novel model of chronic ER stress, this study demonstrated that the PERK/ATF4 pathway has a fundamental role in Drosophila tissue homeostasis. So far, the ADRP model has been the only model of strong chronic ER stress reported in Drosophila. It was validated that Psn overexpression can also provoke a chronic ER stress in Drosophila, as previously reported in mammalian cells. In both Drosophila models, apoptosis is induced by UPR in response to ER stress. Nevertheless, this induction involves totally different pathways. In the chronic ER stress model, cell death induction is PERK/ATF4 dependent and JNK independent, contrarily to the ADRP model in which CDK5 activates JNK signaling that triggers apoptosis. These differences show that the complexity of ER stress-induced signaling found in mammals is conserved in Drosophila, thus highlighting the usefulness of ER stress models plurality (Demay, 2014). It was shown that the PERK/ATF4 pathway induces a caspase-dependent apoptosis by repressing diap1 transcription. However, PERK has been described to exert some antiapoptotic activity by inducing IAP gene expression in mammals. This effect does not seem to rely on direct targets of PERK, ATF4 and CHOP. Similarly, any ATF4 consensus binding sequence (5'-RTTRCRTCA-3') was not found in the diap1 promoter region and no CHOP homolog has been found in Drosophila. Therefore, the mechanisms involved in PERK regulation of IAPs remain to be clarified (Demay, 2014). In the chronic ER stress model, the JNK pathway is activated in apoptotic cells to favor tissue homeostasis without stimulating cell proliferation. This is in contrast to a JNK activation in cells neighboring apoptotic cells, which results in an increase of the proliferation rate. Similar to this observation, JNK activation in apoptotic cells has been observed in ‘undead cell’ models. In these models, the JNK pathway could be activated by DIAP1 or DRONC, whereas JNK signaling seems to be primarily independent from DIAP1/DRONC in the chronic ER stress model. In a mammalian model of chronic ER stress, the IRE1 branch of the UPR activates the JNK pathway to trigger apoptosis thanks to TRAF2/ASK1. In the chronic ER stress, depletion of traf2 or ask1 has no effect. Instead, it was shown for the first time that JNK pathway activation mainly depends on the PERK/ATF4 pathway. Interestingly, this particular JNK pathway is not mainly activated by apoptosis and does not modulate cell death or proliferation (Demay, 2014). It was also shown that PERK/ATF4 regulates an ER stress-induced developmental delay. As previously reported, it was observed that Dilp8 is a major contributor to developmental delay. An obvious candidate for a Dilp8-independent developmental delay regulation is the retinoic acid signaling that has been reported to modulate an irradiation-induced developmental delay. This study tested if this pathway could also regulate the developmental delay caused by Psn overexpression. However, no wing phenotype modification was detected upon the downregulation of this pathway (Demay, 2014). The study characterized the components of the JNK signaling that is activated in response to chronic ER stress in Drosophila wing imaginal discs. The small GTPase Rac1 would activate the JNKKK Slpr, which in turn would activate JNK signaling core to regulate dilp8 expression and ultimately favor development delay and tissue homeostasis maintenance. How the ATF4/PERK branch activates Rac1 remains to be elucidated. Results also suggest the existence of a negative feedback loop regulating the JNK pathway, which would involve the JNKKKK, Msn. This is in agreement with a genetic and phosphoproteomic study showing that Msn is able to inhibit the phosphorylation of Jun. Considering that the JNK pathway induces dilp8 expression in abnormally growing imaginal discs in other stress models, one may wonder whether the same JNK pathway is implicated in these models. Moreover, one may wonder whether dilp8 control during tissue homeostasis-associated developmental delay is always JNK-dependent and relies on a Rac1/Slpr pathway (Demay, 2014). To summarize, this study shows that in response to an ER stress induced by Psn overexpression, the PERK pathway is activated resulting in a Janus-faced ATF4 role. On one hand, ATF4 induces caspase-dependent apoptosis by repressing diap1 expression and on the other hand, it favors tissue homeostasis maintenance through the induction of a Rac1/Slpr/JNK pathway and the resulting dilp8 expression. More investigations on this new Drosophila chronic ER-stress model should allow the identification of novel regulators of UPR-dependent tissue and organism homeostasis that may be conserved in mammals (Demay, 2014). Autophagy, a lysosomal self-degradation and recycling pathway, plays dual roles in tumorigenesis. Autophagy deficiency predisposes to cancer, at least in part, through accumulation of the selective autophagy cargo p62, leading to activation of antioxidant responses and tumor formation. While cell growth and autophagy are inversely regulated in most cells, elevated levels of autophagy are observed in many established tumors, presumably mediating survival of cancer cells. Still, the relationship of autophagy and oncogenic signaling is poorly characterized. This study shows that the evolutionarily conserved transcription factor Myc (dm), a proto-oncogene involved in cell growth and proliferation, is also a physiological regulator of autophagy in Drosophila melanogaster. Loss of Myc activity in null mutants or in somatic clones of cells inhibits autophagy. Forced expression of Myc results in cell-autonomous increases in cell growth, autophagy induction, and p62 (Ref2P)-mediated activation of Nrf2 (cnc), a transcription factor promoting antioxidant responses. Mechanistically, Myc overexpression increases unfolded protein response (UPR), which leads to PERK-dependent autophagy induction and may be responsible for p62 accumulation. Genetic or pharmacological inhibition of UPR, autophagy or p62/Nrf2 signaling prevents Myc-induced overgrowth, while these pathways are dispensable for proper growth of control cells. In addition, the autophagy and antioxidant pathways are required in parallel for excess cell growth driven by Myc. Deregulated expression of Myc drives tumor progression in most human cancers, and UPR and autophagy have been implicated in the survival of Myc-dependent cancer cells. These data obtained in a complete animal show that UPR, autophagy and p62/Nrf2 signaling are required for Myc-dependent cell growth. These novel results give additional support for finding future approaches to specifically inhibit the growth of cancer cells addicted to oncogenic Myc (Nagy, 2013). Myc is necessary for starvation-induced autophagy in Drosophila. Myc overexpression induces autophagy in Drosophila. Autophagy is required for Myc-induced overgrowth. Activation of cnc/Nrf2 is required for Myc-induced overgrowth. Myc-induced UPR is required for increased cell growth and autophagy. Earlier genetic studies have established that Myc is required for proper expression of hundreds of housekeeping genes and is therefore essential for cell growth and proliferation. Myc is a typical example of a nuclear oncogene: a transcription factor that drives tumor progression if its expression is deregulated in mammalian cells. Its mechanisms of promoting cell growth are likely different in many ways from that of cytoplasmic oncogenes such as kinases encoded by PI3K and AKT genes, also frequently activated in various cancers. Overexpression of these drives cell growth in Drosophila as well, but Myc also increases the nuclear:cytoplasmic ratio in hypertrophic cells, unlike activation of PI3K/AKT signaling. PI3K and AKT suppress basal and starvation-induced autophagy, while their inactivation strongly upregulates this process. In contrast, this study shows that both basal and starvation-induced autophagy requires Myc, and that overexpression of Myc increases UPR, leading to PERK-dependent induction of autophagy, and presumably to accumulation of cytoplasmic p62 that activates antioxidant responses. Autophagy deficiency predisposes to cancer at least in part through accumulation of the selective autophagy cargo p62, resulting in activation of antioxidant responses and tumor formation. These analyses show that both of these cytoprotective pathways can be activated simultaneously, and are required in parallel to sustain Myc-induced overgrowth in Drosophila cells (Nagy, 2013). Autophagy and antioxidant responses have been considered to act as tumor suppressor pathways in normal cells and during early stages of tumorigenesis, while activation of these processes may also confer advantages for cancer cells. Lack of proper vasculature in solid tumors causes hypoxia and nutrient limitation. These stresses in the tumor microenvironment have been suggested to elevate UPR and autophagy to promote survival of cancer cells. This study demonstrates that genetic alterations similar to those observed in cancer cells (that is, deregulated expression of Myc) can also activate the UPR, autophagy and antioxidant pathways in a cell-autonomous manner in Drosophila. These processes are likely also activated as a consequence of deregulated Myc expression in human cancer cells based on a number of recent reports, similar to the findings in Drosophila presented in this study. First, chloroquine treatment that impairs all lysosomal degradation pathways is sufficient to reduce tumor volume in Myc-dependent lymphoma models. Second, ER stress and autophagy induced by transient Myc expression increase survival of cultured cells, and PERK-dependent autophagy is necessary for tumor formation in a mouse model. Data suggest that UPR-mediated autophagy and antioxidant responses may also be necessary to sustain the increased cellular growth rate driven by deregulated expression of Myc (Nagy, 2013). Myc has proven difficult to target by drugs. Myc-driven cancer cell growth could also be selectively prevented by blocking cellular processes that are required in cancer cells but dispensable in normal cells, known as the largely unexplored non-oncogene addiction pathways. Previous genetic studies establish that autophagy is dispensable for the growth and development of mice, although knockout animals die soon after birth due to neonatal starvation after cessation of placental nutrition. Tissue-specific Atg knockout mice survive and the animals are viable, with potential adverse effects only observed in aging animals. Genetic deficiencies linked to p62 are also implicated in certain diseases, but knockout mice grow and develop normally and are viable. Similarly, Nrf2 knockout mice are viable and adults exhibit no gross abnormalities, while these animals are hypersensitive to oxidants. Mice lacking PERK also develop normally and are viable. All these knockout studies demonstrate that these genes are largely dispensable for normal growth and development of mice, and that progressive development of certain diseases is only observed later during the life of these mutant animals. There are currently no data regarding the effects of transient inhibition of these processes, with the exception of the non-specific lysosomal degradation inhibitor chloroquine, originally approved for the treatment of malaria, which is already used in the clinic for certain types of cancer (Nagy, 2013). Based on these knockout mouse data, UPR, autophagy and antioxidant responses may be considered as potential non-oncogene addiction pathways: strictly required for Myc-dependent overgrowth (this study) and tumor formation, but dispensable for the growth and viability of normal cells, both in Drosophila and mammals. One can speculate that the transient inactivation of these pathways will have even more subtle effects than those observed in knockout mice, but this needs experimental testing. While it is difficult to extrapolate data obtained in Drosophila (or even mouse) studies to human patients, it is tempting to speculate that specific drugs targeting UPR, autophagy and antioxidant responses may prove effective against Myc-dependent human cancers, perhaps without causing adverse side-effects such as current, less specific therapeutic approaches. Notably, widely used anticancer chemotherapy treatments are known to greatly increase the risk that cancer survivors will develop secondary malignancies. Moreover, the autophagy and antioxidant pathways appear to be required in parallel during Myc-induced overgrowth in Drosophila cells. If a similar genetic relationship exists in Myc-dependent human cancer cells, then increased efficacy may be predicted for the combined block of key enzymes acting in these processes (Nagy, 2013). Elucidation of the genetic alterations behind increased UPR, autophagy and antioxidant responses observed in many established human cancer cells may allow specific targeting of these pathways, and potentially have a tremendous benefit for personalized therapies. In addition to non-specific autophagy inhibitors such as chloroquine, new and more specific inhibitors of selected Atg proteins are being developed. Given the dual roles of autophagy during cancer initiation and progression, a major question is how to identify patients who would likely benefit from taking these drugs. For example, no single test can reliably estimate autophagy levels in clinical samples, as increases in autophagosome generation or decreases in autophagosome maturation and autolysosome breakdown both result in accumulation of autophagic structures. Based on this study's data and recent mammalian reports, elevated Myc levels may even turn out to be useful as a biomarker before therapeutic application of inhibitors for key autophagy, UPR or antioxidant proteins in cancer patients (Nagy, 2013). Mutants of neuroserpin are retained as polymers within the endoplasmic reticulum (ER) of neurones to cause the autosomal dominant dementia familial encephalopathy with neuroserpin inclusion bodies or FENIB. The cellular consequences are unusual in that the ordered polymers activate the ER overload response (EOR) in the absence of the canonical unfolded protein response. This study uses both cell lines and Drosophila models to show that the G392E mutant of neuroserpin that forms polymers is degraded by UBE2j1 E2 ligase and Hrd1 E3 ligase while truncated neuroserpin, a protein that lacks 132 amino acids, is degraded by UBE2g2 (E2) and gp78 (E3) ligases. The degradation of G392E neuroserpin results from SREBP-dependent activation of the cholesterol biosynthetic pathway in cells that express polymers of neuroserpin (G392E). Inhibition of HMGCoA reductase, the limiting enzyme of the cholesterol biosynthetic pathway, reduces the ubiquitination of G392E neuroserpin in cell lines and increases the retention of neuroserpin polymers in both HeLa cells and primary neurones. These data reveal a reciprocal relationship between cholesterol biosynthesis and the clearance of mutant neuroserpin. This represents the first description of a link between sterol metabolism and modulation of the proteotoxicity mediated by the EOR (Roussel, 2013). Generation of a human cell model of FENIB. Identification of E3 and E2 ligases involved in the degradation of mutants of neuroserpin. Transcriptional analysis of cells expressing polymers of neuroserpin reveals upregulation of the cholesterol biosynthetic pathway. Polymers of neuroserpin activate the cholesterol biosynthetic pathway. Inhibition of sterol synthesis leads to a decrease in neuroserpin ubiquitination, and to the accumulation of mutants of neuroserpin in both HeLa cells and primary neurones. Mutants of neuroserpin are retained within the ER of neurones to cause the inclusion body dementia FENIB. This dementia is unusual as the ordered structure of neuroserpin polymers prevents an UPR. Instead, the accumulation of neuroserpin leads to an activation of the EOR. This provides a model to evaluate the cellular consequences of the retention of ordered protein within cells (Roussel, 2013). After creating a cellular model to investigate FENIB, this study identified the E3 and E2 ligases involved in neuroserpin degradation. This was performed with the use of a Drosophila model of FENIB that shows accumulation of G392E neuroserpin when E3 and E2 orthologues are knocked down. It is interesting to note that the CG5623 depletion (UBE2j1 and j2) did not show any accumulation while in HeLa cells UBE2j1 shows a clear effect. These discrepancies between insects and mammals are well characterized in the literature, for example p53 is only implicated in cell death in flies while in mammals it has a role in the control of both cell death and cell cycle regulation. While a previous study has found the E3 ligases gp78 and hrd1 to be involved in neuroserpin degradation, this study identified differences in the specificity of these proteins. Gp78, and its partner E2 ligase UBE2g2, target unfolded, truncated forms of neuroserpin, while hrd1 and UBE2j1 target ordered polymers of neuroserpin for degradation by ERAD. Hrd1 and gp78 have also been well-characterized in the degradation process of mutant alpha-1-antitrypsin and many other misfolded proteins (Roussel, 2013). Microarray analysis, and subsequent quantitative PCR, revealed that the expression of ordered polymers is associated with an activation of the sterol biosynthesis pathway. Previous studies have shown an interaction between ERAD and cholesterol biosynthetic pathway. HMGCoA reductase, the rate limiting enzyme in cholesterol biosynthesis, can interact with the E3 ligase gp78 to mediate its sterol-accelerated degradation. Moreover, in vitro work has demonstrated that Hrd1 is involved in the dislocation and the degradation of HMGCoA reductase. This study speculates that accumulation of mutant neuroserpin leads to the activation of the cholesterol biosynthetic pathway. However, only inhibition of HMGCoA reductase and not other enzymes on this pathway increases the retention of mutant neuroserpin; HMGCoA reductase is the rate limiting enzyme of the pathway and so it is likely that accumulation of mutant neuroserpin increases HMGCoA reductase, and hence upregulates the whole pathway (Roussel, 2013). An interaction between the cholesterol biosynthetic pathway and ERAD has previously been observed in another neurological disease. In patients with Gaucher's disease, the level of intracellular cholesterol appears to modify the degradation of glucocerebrosidase by influencing ERAD; a reduced level of cholesterol biosynthesis leading to less glucocerebrosidase entering the ERAD pathway. Similarly, in the case of neuroserpin, it was found that inhibition of cholesterol biosynthesis also reduces degradation of the pathogenic target protein. Importantly, however, whereas the activation of ERAD by misfolding glucocerebrosidase may involve ER stress, this is absent during the accumulation of neuroserpin polymers indicating that a sterol-independent mechanism can mediate this response (Roussel, 2013). Taken together, these experiments reveal a reciprocal relationship between cholesterol biosynthesis and the clearance of mutant neuroserpin. The accumulation of intracellular polymers of neuroserpin leads to the induction of genes involved in cholesterol synthesis, while inhibition of sterol biosynthesis impairs the ubiquitination of mutant neuroserpin and thus causes its accumulation (Roussel, 2013). Alterations in the quality, quantity and architecture of baseline and recovery sleep have been shown to occur during aging. Sleep deprivation induces endoplasmic reticular (ER) stress and upregulates a protective signaling pathway termed the unfolded protein response (UPR). The effectiveness of the adaptive UPR is diminished by age. Previously, it has been shown that endogenous chaperone levels alter recovery sleep in Drosophila melanogaster. This study reports that acute administration of the chemical chaperone sodium 4-phenylbutyrate (PBA) reduces ER stress and ameliorates age-associated sleep changes in Drosophila. PBA consolidates both baseline and recovery sleep in aging flies. The behavioral modifications of PBA are linked to its suppression of ER stress. PBA decreases splicing of x-box binding protein 1 (XBP1) and upregulation of phosphorylated elongation initiation factor 2α (p-eIF2α), in flies that were subjected to sleep deprivation. It was also demonstrated that directly activating ER stress in young flies fragments baseline sleep and alters recovery sleep. Alleviating prolonged/sustained ER stress during aging contributes to sleep consolidation and improves recovery sleep/ sleep debt discharge (Brown, 2014). PBA consolidates/increases baseline sleep in aged animals. Recovery sleep is altered with age. Induction of ER stress fragments baseline sleep and alters recovery sleep. PBA increases daytime sleep and consolidates nighttime sleep in a short sleeping mutant remember to underline all changes in this section. Upregulation of ER stress markers with sleep deprivation. PBA treatment represses age-related activation of p-eIF2α. With advancing age, humans demonstrate a number of sleep disruptions, which contribute to poor health consequences and accelerated senescence. The mechanisms that lead to these negative health outcomes, however, remain unclear. This study shows that both baseline and recovery sleep change with age and these alterations can be modulated by the chemical chaperone PBA. PBA is a low molecular weight fatty acid that has been shown to act as a chemical chaperone for misfolded or mislocalized proteins. It has also been shown to suppress ER-stress induced cell death without the aid of endogenous ER chaperones. It was also demonstrated in this study that directly inducing ER stress in young flies fragments baseline sleep and alters recovery sleep, phenocopying aged flies. Sleep fragmentation may contribute to accelerated aging and it has been suggested that an intervention that consolidates sleep may delay the aging process and increase life span (Brown, 2014). Aged flies exhibi less total baseline sleep and an altered homeostatic response in that they recover sleep over an extended 12 h period, whereas young flies recoup lost sleep within a much shorter window. Similar sleep disturbances are seen in humans and mammals, where aged individuals lose the ability to initiate and maintain nighttime sleep and recovery sleep after prolonged wakefulness is altered. Similar to this study, a significant age by time interaction was demonstrated, where young flies recover sleep in the first 4–5 h following sleep deprivation. Sleep deprived aged flies however, recover sleep over much a longer period. Variations in behavioral results compared with those existing in the literature are possibly due to the current study's use of video analysis, which has been shown to be more accurate than DAMS in measurements of fly sleep, in particular daytime sleep and architecture (Brown, 2014). During the course of this study, an increase in locomotor activity in both young and aged flies treated with PBA was observed. 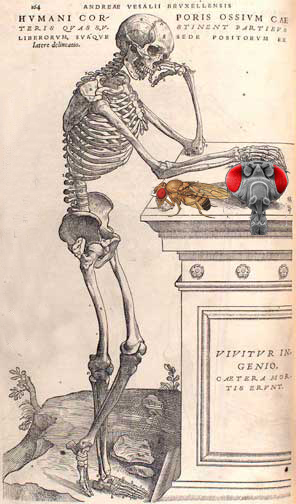 A previous study found that PBA maintains locomotor vigor (activity) during aging in Drosophila. These results suggest that PBA is in fact increasing sleep and not merely reducing movement in the aged flies. Although total wake did not change in the young flies treated with PBA, wake became more consolidated. Not observing changes in total wake is possibly due to a ceiling effect in the young healthy flies. These results indicate that there is an age by drug interaction in the modification of sleep by PBA that remains to be elucidated (Brown, 2014). Aging also impairs quality control systems that are necessary for protein homeostasis. Earlier work has demonstrated that aging decreases BiP levels and increases pro-apoptotic factors such as CCAAT/enhancer-binding protein-homologous protein (CHOP) in the cerebral cortex of mice. Young flies experience less ER stress and their adaptive UPR is fully functional. Aged flies, on the other hand, are under chronic ER stress conditions with a diminished adaptive UPR. Therefore, basal ER stresses for the two groups are vastly different and likely contributes to the disparate responses to sleep deprivation. The young flies are readily able to handle acute sleep deprivation, whereas aged flies, already under stress, are overwhelmed by the secondary stressor. Addition of PBA has little effect on recovery sleep in young flies; however, PBA treatment ameliorates existing ER stress and suppresses further UPR induction in aged flies. As a result, treated aged flies display more efficient recovery sleep or are able to discharge sleep debt more efficiently than untreated aged flies (Brown, 2014). Although no significant differences were found in BiP expression in flies treated with PBA, XBP1 was significantly affected by PBA treatment. PBA not only reduces the amount of spliced XBP1, it also reduces the expression of the unspliced variant as well. PBA likely suppresses UPR induction by chaperoning unfolded proteins, so that BiP stays bound to IRE1 and PERK and delays or prevents its activation, even under the condition of sleep deprivation. Phospho-IF2α levels are significantly reduced in the PBA treated aged flies subjected to sleep deprivation. Changes in p-eIF2α can be directly linked to the behavioral changes in the aged flies given that increased p-eIF2α facilitates baseline and recovery sleep. The reduced eIF2α phosphorylation in PBA treated animals may account for the improved homeostatic response in the aged SD flies (Brown, 2014). This study also chemically induced ER stress in young flies and then subjected them to sleep deprivation. This acute tunicamycin treatment was found to decrease and fragment baseline sleep and phenocopy the recovery sleep behavior that is seen in the aged flies. There are two possible explanations for the tunicamycin results. First, tunicamycin activity leads to inhibition of glycosylation and general misfolding of proteins, which will ultimately result in ER stress. Secondly, tunicamycin could potentially prevent maturation of glycoproteins required for sleep maintenance. This data demonstrates that ER stress induces sleep fragmentation. Together with previous findings that sleep deprivation caused ER stress and activated the UPR, these results suggests that both processes are intimately linked and feedback on one another (Brown, 2014). PBA has been shown to significantly increase life span in Drosophila, purportedly through inhibition of HDAC activity. The moderate effects of PBA on sleep consolidation in young sssp1 mutant flies suggest that protein stabilization by PBA is only partially ameliorating defects in these animals. The decrease in sleep in the ctrl sss background strain treated with PBA supports the increase and consolidation of wake in the wild-type lines. It has been previously shown that induction of ER stress impairs waking in mice. The study speculates that application of PBA also promotes wake-active neuronal function and consolidates wake in the flies by reducing ER stress. The issue is not the accumulation of sleep debt, but the discharge of sleep debt that is impaired in the aged flies. By ameliorating ER stress and suppressing activation of the UPR, PBA allows for more efficient recovery sleep in the aged flies. Since PBA ameliorates ER stress by directly reducing aberrant protein load, treating Drosophila with PBA supplements chaperone activity and decreases the burden of misfolded proteins that occurs as a consequence of an external stressor, sleep deprivation, as well as normal aging (Brown, 2014). The molecular mechanisms influencing healthspan are unclear but mitochondrial function, resistance to oxidative stress and proteostasis are recurring themes. Tumor necrosis factor Receptor Associated Protein 1 (TRAP1), the mitochondrial analog of Hsp75, regulates levels of reactive oxygen species in vitro and is found expressed at higher levels in tumor cells where it is thought to play a pro-survival role. While TRAP1-directed compartmentalized protein folding is a promising target for cancer therapy, its role at the organismal level is unclear. This study reports that overexpression of TRAP1 in Drosophila extends healthspan by enhancing stress resistance, locomotor activity and fertility while depletion of TRAP1 has the opposite effect, with little effect on lifespan under both conditions. In addition, modulating TRAP1 expression promotes the nuclear translocation of homeobox protein Dve and increases expression of genes associated with the mitochondrial unfolded protein response (UPRmt), indicating an activation of this proteostasis pathway. Notably, independent genetic knockdown of components of the UPRmt pathway dampen the enhanced stress resistance observed in TRAP1 overexpression flies. Together these studies suggest that TRAP1 regulates healthspan, potentially through activation of the UPRmt (Baqri, 2014). TRAP1 regulates ROS levels in vivo. TRAP1 regulates resistance to oxidative stress in young and old Drosophila. TRAP1 confers protection against heat stress. Loss or overexpression of TRAP1 does not significantly alter lifespan. TRAP1 regulates locomotor performance and fertility in aging Drosophila. Pan-neuronal overexpression of TRAP1 attenuates age-related decline in locomotor performance but does not affect lifespan or oxidative stress resistance. Dosage modulation of TRAP1 activates the mitochondrial unfolded protein response. Dystonia1 (DYT1) dystonia is caused by a glutamic acid deletion (ΔE) mutation in the gene encoding Torsin A in humans (HTorA). To investigate the unknown molecular and cellular mechanisms underlying DYT1 dystonia, this study performed an unbiased proteomic analysis. It was found that the amount of proteins and transcripts of an Endoplasmic reticulum (ER) resident chaperone Heat shock protein cognate 3 (HSC3) and a mitochondria chaperone Heat Shock Protein 22 (HSP22) are significantly increased in the HTorAΔE– expressing brains compared to the normal HTorA (HTorAWT) expressing brains. The physiological consequences include an increased susceptibility to oxidative and ER stress compared to normal HTorAWT flies. The alteration of transcripts of Inositol-requiring enzyme-1 (IRE1)-dependent spliced X box binding protein 1 (Xbp1), several ER chaperones, a nucleotide exchange factor, Autophagy related protein 8b (ATG8b) and components of the ER associated degradation (ERAD) pathway and increased expression of the Xbp1-enhanced Green Fluorescence Protein (eGFP) in HTorAΔE brains strongly indicate the activation of the unfolded protein response (UPR). In addition, perturbed expression of the UPR sensors and inducers in the HTorAΔE Drosophila brains results in a significantly reduced life span of the flies. Furthermore, the types and quantities of proteins present in the anti-HSC3 positive microsomes in the HTorAΔE brains are different from those of the HTorAWT brains. Taken together, these data show that HTorAΔE in Drosophila brains may activate the UPR and increase the expression of HSP22 to compensate for the toxic effects caused by HTorAΔE in the brains (Kim, 2015). Six proteins in 7 spots are differentially expressed in HTorAΔE-expressing fly brains. HSC3 and HSP22 proteins are significantly increased in HTorAΔE-expressing brains. Transcripts of HSC3 and HSP22 are increased in HTorAΔE-expressing brains. IRE1-dependent spliced x-box binding protein 1 (xbp1) mRNA is increased in HTorAΔE-expressing brains. HTorAΔE-expressing flies exhibit increased oxidative and ER stresses. HTorAΔE-expressing flies showed increased sensitivities to autophagy inhibitors. Down-regulation of HSC3, Xbp1, ATF6 and Pek in the HTorAΔE flies induces earlier death. Natural genetic variation is a rich resource for identifying novel elements of cellular pathways such as endoplasmic reticulum (ER) stress. ER stress occurs when misfolded proteins accumulate in the ER and cells respond with the conserved unfolded protein response (UPR), which includes large-scale gene expression changes. Although ER stress can be a cause or a modifying factor of human disease, little is known of the amount of variation in the response to ER stress and the genes contributing to such variation. To study natural variation in ER stress response in a model system, this study measured the survival time in response to tunicamycin-induced ER stress in flies from 114 lines from the sequenced Drosophila Genetic Reference Panel of wild-derived inbred strains. These lines show high heterogeneity in survival time under ER stress conditions. To identify the genes that may be driving this phenotypic variation, ER stress-induced gene expression was profiles and an association study was performed. Microarray analysis identified variation in transcript levels of numerous known and previously unknown ER stress-responsive genes. Survival time was found to be significantly associated with polymorphisms in candidate genes with known (i.e., Xbp1) and unknown roles in ER stress. Functional testing found that 17 of 25 tested candidate genes from the association study have putative roles in ER stress. In both approaches, one-third of ER stress genes have human orthologs that contribute to human disease. This study establishes Drosophila as a useful model for studying variation in ER stress and identifying ER stress genes that may contribute to human disease (Chow, 2013). Variation in survival under ER stress. Variation in ER stress-responsive RNA levels. SNP in Xbp1 is associated with survival on tunicamycin (TM). This study reports about a screen of genetic variation in ER stress response in Drosophila. It was found that survival under TM-induced ER stress conditions is highly variable across the DGRP lines. The study undertook two complementary approaches to identify the genetic elements contributing to this variation in TM-induced ER stress response. To catalog the genes that respond the most variably to TM-induced ER stress across genotypes, it profiled TM-induced ER stress gene expression changes. However, it is impossible to know from expression data alone whether these variable responsive genes are a cause or effect of the survival differences observed. Thus, the study also took a genetic-association approach to identify polymorphisms that may contribute to the variability in survival on TM-induced ER stress conditions. This combined approach of quantifying gene expression and genetic variation identified numerous putative ER stress genes that may be particularly important in understanding inter-individual variation in ER stress response (Chow, 2013). Although the canonical ER stress pathway is well studied, there are likely numerous aspects of this process that remain undiscovered. Both methods used in this study identifiy known ER stress genes, indicating that at least some genes previously unknown to be involved in ER stress have also been identified here. In addition to the many individual ERSRGs identified in the microarray analysis, enrichment for genes encoding CHK kinase-like proteins, a subfamily of choline kinases (16 genes; Zinc finger C4, and HLH domain containing kinases domain) was found. The function of these CHK kinase-like proteins is unknown in any organism. A study in Caenorhabditis elegans demonstrates that two genes with choline kinase activity are up-regulated by ER stress, but the exact role of choline kinase genes in ER stress is unknown. Choline kinases catalyze the first reaction in phosphatidylcholine (PC) biosynthesis. PC is a major component of cellular membranes, and levels of PC can trigger growth arrest and apoptosis. Abnormal PC/phosphatidylethanolamine (PE) ratios contribute to impaired ER function and chronic ER stress. Regulation of genes encoding CHK kinase-like proteins by ER stress might be a way to normalize PC/PE ratios to relieve ER stress. These genes also contain a zinc finger domain, suggesting a possible role in transcription (Chow, 2013). Although survival on a drug might reflect a number of causes, the study assumes the drug-based assay to be reflective of ER stress. For example, association analysis identifies a SNP in the classic UPR gene Xbp1. Furthermore, some of the candidate genes identified induce or disrupt the ER stress response when gene function is perturbed. These observations suggest that the 78% of the association candidate genes not previously known to contribute to the ER stress response might be important to this response. Some of these ER stress candidates are within broad functional groups with previously known roles in ER stress. Of note, four genes (CG11594, CG9003, RunxA, and CG11873) that had no prior known function in ER stress were identified, but which have been previously identified as candidate genes in oxidative stress response in the same DGRP lines. There are functional links between oxidative and ER stress, and the fact that these genes appear as candidates in both processes suggests that there may be a genetic convergence of these two pathways in the DGRP. Six association candidates (CG12428, bgm, Egm, CG9518, RdgA, and CG5162) having known or putative roles in lipid metabolism were also identified. Aberrant lipid metabolism is increasingly recognized as a critical cause and effect of ER stress. This observation, combined with the overrepresentation of CHK-kinase-like genes in the expression analysis, suggests that lipid metabolism may play a particularly important role in variation in TM-induced ER stress response (Chow, 2013). Functional testing demonstrated that many of the candidates identified in the association study have potential roles in TM-induced ER stress response. It was found that 76% of the tested candidates with an effect on survival have no known role in ER stress. For example, CG15611 encodes a putative Rho guanyl-nucleotide exchange factor (RhoGEF) that is thought to regulate vesicle budding from the Golgi. CG15611 may regulate protein trafficking between the ER and Golgi and function in eliminating misfolded proteins. Megator encodes a nuclear pore protein. Megator has no known function in ER stress, but Ire1 has been shown to interact with some components of the nuclear pore complex in yeast. Although extensive functional studies are needed to identify specific functions in ER stress response, these verified candidates provide a promising pool of unstudied ER stress genes (Chow, 2013). Nominating genes for future study can be challenging. Genes identified by both approaches in this study might be especially important. There are four genes in common between the candidate genes in the association study and genes whose expression is induced during the early time point (CG10962, CG11594, KrT95D, and tkv). There are two genes in common between the association study and the late time point (CG10962 and CG34228). Strikingly, CG10962 was found in the association study and both time points. CG10962 is orthologous to the human gene DHRS11 and is a member of the short-chain dehydrogenases/reductases (SDR) family. Proteins in the SDR family may have a previously unappreciated role in ER stress (Chow, 2013). The ultimate goal of this study was to use Drosophila natural variation as a model to identify ER stress genes that may contribute to variation in the human ER stress response. Because the basic UPR pathways are well conserved between Drosophila and human, Drosophila is a good model for studying ER stress. The potential relevance of these results to humans was quantified by identifying the genes with human orthologs. It was found that 52%, 68%, and 63% of ER stress genes in this study have human orthologs (early response, late response, and association study, respectively). The majority of genes that contribute to variation in ER stress response in Drosophila are conserved and are very likely to have similar roles in the human ER stress response. To test the parallels between the current study's in vivo Drosophila results and those in mammals, results were compared to in vivo TM-induced responses in the mouse. Of the genes in the study with clear mouse orthologs, 47%, 48%, and 21% (early response, late response, and association study, respectively) overlap with the in vivo TM-induced liver transcriptional response in mouse (Chow, 2013). Because ER stress is a major contributor to disease, genes having human orthologs that have been implicated in human disease were also identified. Genes that cause Mendelian-inherited disease, or are associated with disease, have entries in the Online Mendelian Inheritance in Man database (OMIM). It was found that 32%, 23%, and 28% of conserved ER stress genes in the study (early response, late response, and association, respectively) have orthologs with entries in OMIM and contribute to human disease. Many diseases are affected by these ER stress genes. For example, orthologs of genes associated with neurological disease were identified in the microarray and association study, including RhoGEF3 (human gene: ARHGEF9; disease: epileptic encephalopathy), CG7804 (TARDBP; ALS), CG10420 (SIL1; Marinesco–Sjogren syndrome), Tsp29Fb (TSPAN7; X-linked mental retardation), CG13423 (BLMH; Alzheimer’s disease), and Cbs (CBS; homocystinuria). Orthologs of genes associated with cancer were also identified, including l(2)37Cc (PHB; breast cancer), and RunxA (RUNX1; leukemia). Further, orthologs involved in diabetes, metabolic disorders, and developmental disorders were identified. Knowledge of the role of these genes in ER stress may lead to a better understanding of how ER stress contributes to the pathophysiology of their associated diseases (Chow, 2013). A familial form of Amyotrophic lateral sclerosis (ALS8) is caused by a point mutation (P56S) in the vesicle-associated membrane protein associated protein B (VapB). Human VapB and Drosophila Vap-33-1 (Vap) are homologous type II transmembrane proteins that are localized to the ER. However, the precise consequences of the defects associated with the P56S mutation in the endoplasmic reticulum (ER) and its role in the pathology of ALS are not well understood. This study shows that Vap is required for ER protein quality control (ERQC). Loss of Vap in flies shows various ERQC associated defects, including protein accumulation, ER expansion, and ER stress. Wild type Vap, but not the ALS8 mutant Vap, interacts with a lipid-binding protein, Oxysterol binding protein (Osbp), and Vap is required for the proper localization of Osbp to the ER. Restoring the expression of Osbp in the ER suppresses the defects associated with loss of Vap and the ALS8 mutant Vap. Hence, the study propose that the ALS8 mutation impairs the interaction of Vap with Osbp, resulting in hypomorphic defects that might contribute to the pathology of ALS8 (Moustaqim-Barrette, 2014). Vap is required for ER proteostasis. Loss of Vap causes ER stress. Loss of Vap causes accumulation of ubiquitinated proteins. Vap is required for the proper localization of Osbp. ALS8 mutation causes a partial loss of function of Vap. Osbp genetically interacts with the ALS8 mutation. Based on the findings, this study proposes that an impairment of the normal function of Vap in the ER may contribute to the pathology of ALS8. Vap is required for the proper localization of Osbp in the ER, and the interaction between Vap and Osbp function is apparently required for the implementation of the ERQC. Failure of Vap-Osbp to function causes a defect in ER proteostasis, resulting in protein accumulations in the ER and ER stress. These defects in the ER overload probably promote the Ubiquitin Proteasome System (UPS), which subsequently leads to an accumulation of ubiquitinated proteins. In the autosomal dominant form of ALS, ALS8, patients express both WT Vap and the ALS8 mutant Vap. As the ALS8 mutant Vap is not able to bind to Osbp, this loss of binding seems to result in the partial loss of function of Vap. This in turn may cause a gradual decrease in function of the ERQC. These defects may also lead to secondary defects that have been previously reported: namely the lack of the secretion of major sperm protein (MSP) domain (The evolutionarily conserved Vaps contain an amino (N)-terminal domain, called the major sperm protein (MSP) domain and a transmembrane domain that anchors the protein in the ER) (Moustaqim-Barrette, 2014). Defects in ER proteostasis have been implicated in the pathology of ALS. The ER constantly requires maintenance of protein homeostasis, or proteostasis. To this end, the ER carries the burden of continuously modulating protein folding and degradation to avoid accumulation of misfolded proteins. An overloaded ERQC induces ER stress, and severe or prolonged ER stress leads to cell dysfunction and eventually cell death. Various proteins involved in ERQC have been identified, including VCP, Derlin-1 and Calreticulin. Moreover, a familial form of ALS is associated with mutations in VCP and mutations in SOD1 have been shown to inhibit the function of Derlin-1 and reduce the levels of Calreticulin and trigger ER stress. In SOD1 mice, the ER stress seems to contribute to selective motor neuron degeneration and ER stress has also been implicated in numerous patients with sporadic ALS. Together, these observations suggest that defects in ER proteostasis might be a common pathological feature of ALS. In many neurodegenerative diseases, only a subpopulation of neurons is initially targeted. However, in most cases the disease-causing proteins are ubiquitously expressed. Why some regions of the brain are more susceptible to defects remains unknown. Specific defects in some subtypes of neurons in the vap null mutants were found. The defects are not limited to motor neurons. Interestingly, VapB levels decrease concomitantly with the disease's progression in the SOD1 mouse model, and sporadic ALS patients have been reported to have decreased levels of the VapB protein, suggesting that impaired VapB function may contribute to the pathogenesis of familial and sporadic forms of ALS. It is therefore likely that the molecular mechanism by which loss of Vap affects the cells is not restricted to ALS8 (Moustaqim-Barrette, 2014). An important question raised by results of this study is how VapB functions in protein homeostasis in the ER. The ERQC is involved in identifying aberrantly misfolded proteins, retrotranslocating the misfolded proteins and processing the degraded retrotranslocated proteins. These processes seem to be tightly linked. Indeed, many proteins function in multiple different steps in the ERQC. However, Vap is unlikely to function in chaperone-dependent refolding, since a molecular chaperone, Bip, is upregulated in vap null mutants. Moreover, Bip overexpression fails to rescue the ER stress in the vap null mutants (Moustaqim-Barrette, 2014). Restoring the levels of an Osbp that is not dependent on Vap binding suppresses the ER defects caused by loss of Vap, suggesting that this pathway is required for the execution of the ERQC. Mammalian Osbp and Osbp-related protein (Orp) constitute a large eukaryotic gene family characterized by a conserved C-terminal sterol binding domain. This domain organization suggests that a primary function of Osbp/Orp is to sense cholesterol or oxysterols to control transport between target membranes. Differential localization of Osbp between organelles in response to exogenous and endogenous sterol ligands indicates that Osbps transfer cholesterol and/or oxysterols between these organelles. Although the ER membrane is cholesterol poor (3–6% of total lipids), acute cholesterol depletion in culture medium impairs the mobility of membrane proteins and protein secretion from the ER in cultured cells. Hence, the defects in ER proteostasis might be due to decreased levels of cholesterol in the ER caused by loss of Osbp/Vap function. In addition, Osbps are also coupled to the activation of Cert and SM synthesis through increased activity of PI4KIIα, a cholesterol sensitive PI 4-kinase. This suggests that loss of Vap may also cause defects in ceramide transport from the ER, which may result in accumulation of ceramide and defects in ER proteostasis, consistent with the observation that ceramide accumulates in ER stress (Moustaqim-Barrette, 2014). This study documents the defects caused by mutant VapALS8 protein expressed under the control of its endogenous regulatory elements in a genomic rescue construct. Previous studies suggest that the VapALS8 protein causes dominant negative defects when the mutant protein is overexpressed in flies or cultured cells. However, overexpression of VapALS8 rescues the lethality associated with the vap null mutant and the data presented in this study based on the vapALS8 genomic transgene strongly suggests that the defects caused by the ALS8 mutant protein are hypomorphic rather than dominant negative. Consistent with these findings, another study reports two mutations (A145 V and S160Δ) in the vapB gene in ALS patients; these mutations (A145 V and S160Δ) partially fail to rescue the defects caused by loss of vapB in zebrafish. This study therefore proposes that the ALS8 mutation in patients is a partial loss of function mutation and that vapB is haploinsufficient in humans (Moustaqim-Barrette, 2014). Pathological modifications in the microtubule-associated protein Tau is a common characteristic observed in different neurological diseases, suggesting that analogous metabolic pathways might be similarly affected during neurodegeneration. To identify these molecules and mechanisms, this study utilized Drosophila models of human Tau-mediated neurodegeneration to perform an RNA interference functional screening against genes considered to be implicated in the pathogenesis of different neurodegenerative disorders. It was found that the downregulation of the Drosophila REEP1 homolog protein enhances Tau toxicity with increased formation of insoluble aggregates. On the contrary, the overexpression of either the Drosophila or the human REEP1 protein is able to revert these phenotypes and promote neuronal resistance to ER stress. These studies identify a new function for the REEP1 protein in vivo and a novel cellular mechanism to prevent Tau toxicity (Appocher, 2014). Molecular characterization of Drosophila REEP1 function in vivo. D-reep1 co-localizes with ER membrane markers in Drosophila. D-reep1 function is required for the neuronal response to ER stress. D-reep1 protects neurons from Tau-mediated degeneration by preventing the accumulation of neurotoxic aggregates. The presence of intracellular aggregates of pathologically phosphorylated Tau in brains of patients suffering from different neurological diseases not described as tauopathies, strongly suggest that defects in Tau homeostasis may represent a common mechanism behind the molecular processes that lead to neurodegeneration. In agreement with this hypothesis, this study performed functional genetic screenings in Drosophila through the silencing of several, unrelated, genes previously implicated in the pathogenesis of complex neurodegenerative diseases. Following this approach, it was observed that the majority of the suppressed genes enhance the neurodegeneration induced by human Tau expression in flies indicating that common pathological mechanisms, shared by different neurological disorders may exist in vivo. Alternatively, similar neuroprotective pathways might be comparably activated with counteract Tau toxicity and intracellular stress (Appocher, 2014). In agreement with this view, the human homolog protein REEP1 in flies was identified and demonstrated to be a conserved protein that localizes in the tubule-vesicular membranes of the ER where it promotes the intracellular resistance against stressful situations like heat shock or the abnormal accumulation of misfolded proteins in the cytoplasm. In agreement with these results, it has been previously reported that HVA22, the plant homolog gene of D-reep1, is required to tolerate stressful situations by inhibiting the activation of programmed cell death in plants growing under adverse conditions. In Drosophila, it was found that D-reep1 null alleles do not present evident problems during development or neurological defects associated with aging or alterations in the life span. Similar results have been observed in yeast, where null mutations in the D-reep1 homolog gene of YOP1p did not affect cells viability. On the contrary, the suppression of REEP1 in mice interferes with the ER structure and reduces the long-term neuronal survival, indicating that species-specific differences in the gene function may exist. Regarding to that, it was observed that D-reep1 and human REEP1 are identically localized in the ER of Drosophila and required to confer stress resistance against the accumulation of unfolded proteins induced by tunicamycin. In correlation with these data, it was found that D-reep1 function is necessary to prevent Tau-mediated neurodegeneration and aggregates formation, suggesting that these results might be connected. Concerning this hypothesis, it was found that increased ER stress enhances the neurodegenerative effect produced by Tau expression in vivo. Moreover, it was detected that modifications in Tau levels increase the expression amounts of D-reep1 mRNA, indicating that D-reep1 may form part of the cellular machinery in charged to respond, signal or protect against ER stress in vivo (Appocher, 2014). Regarding the potential mechanisms behind neuronal protection, it was found that alterations in D-reep1 or REEP1 function do not affect the total levels of Tau present in Drosophila heads suggesting that these proteins might be required to prevent the formation or accumulation of Thioflavin-S-positive Tau clusters rather than promoting the degradation of the aggregates. Nevertheless, a potential role of D-reep1 in regulating the removal of the Tau insoluble clusters through ER-dependent autophagy could not be discarded; further experiments will be necessary to clarify these issues. In summary, this study uncoveres a novel and conserved function of the D-reep1 gene in promoting ER stress resistance and preventing Tau-mediated degeneration in vivo, most probably by inhibiting the pathological accumulation of Thioflavin-S-positive Tau aggregates. Finally, the study also predicts that defects in REEP1 function, in patients with HSP, may lead to alterations in the neuronal responses to ER stress with defects in the metabolism of Tau and general problems in the maintenance of the structural organization and intracellular transport in long axons (Appocher, 2014). The Unfolded Protein Response of the endoplasmic reticulum (UPRER) controls proteostasis by adjusting the protein folding capacity of the ER to environmental and cell-intrinsic conditions. In metazoans, loss of proteostasis results in degenerative and proliferative diseases and cancers. The cellular and molecular mechanisms causing these phenotypes remain poorly understood. This study shows that the UPRER is a critical regulator of intestinal stem cell (ISC) quiescence in Drosophila melanogaster. It was found that ISCs require activation of the UPRER for regenerative responses, but that a tissue-wide increase in ER stress triggers ISC hyperproliferation and epithelial dysplasia in aging animals. These effects are mediated by ISC-specific redox signaling through Jun-N-terminal Kinase (JNK) and the transcription factor Cnc. These results identify a signaling network of proteostatic and oxidative stress responses that regulates ISC function and regenerative homeostasis in the intestinal epithelium (Wang, 2014). UPRER is activated in aging intestines. UPRER is sufficient and required in ISCs to promote proliferation. UPRER acts as a rheostat for stem cell proliferation. Coordinated control of ISC proliferation by the UPRER and ROS signaling. JNK is activated by UPRER-induced ISC proliferation. Xbp1 coordinates with Keap-Cnc in ISC proliferation. Improved ER quality control in ISCs alleviates age-related intestinal dysplasia. Results from this study establish a critical role for the coordination of oxidative and ER stress responses in the control of stem cell function, proliferative homeostasis and regenerative capacity in the Drosophila intestine. As previously observed for ROS signaling, it was found that ER stress not only promotes ISC proliferation, but that the UPRER is also required for ISC proliferation under basal, homeostatic conditions. The UPRER thus emerges as a rheostat regulating ISC proliferation under both stress and homeostatic conditions. These results suggest that the tissue-wide increase in ER stress in the aging intestinal epithelium perturbs this regulation, resulting in intestinal dysplasia (Wang, 2014). The consequences of perturbing ER homeostasis in the intestinal epithelium are reminiscent of similar effects in Xbp1-deficient mice, where loss of Xbp1 promotes ISC proliferation and intestinal tumorigenesis. At the same time, a recent study suggests that UPRER components are primarily expressed in transit amplifying cells of the intestinal epithelium, and that activation of the UPRER (specifically the PERK branch) promotes differentiation of intestinal epithelial stem cells. The Drosophila midgut epithelium does not contain a transit amplifying cell population, yet data suggest that a role for the UPRER in the control of ISC activity is conserved (Wang, 2014). The requirement for CncC inhibition in ER stress-mediated activation of ISC proliferation highlights the integrated control of ISC activity by oxidative and ER stress signals. The study proposes that Xbp1, by promoting ER homeostasis, limits ROS accumulation in ISCs and thus maintains ISC quiescence. Excessive ROS results in JNK activation, which in turn activates Fos and inhibits CncC in ISCs, triggering proliferation (Wang, 2014). This coordination of ER and oxidative stress responses by CncC and the UPRER is likely to be complex. In C. elegans the UPRER coordinates transcriptional regulation of anti-oxidant genes with the CncC homologue SKN-1. Interestingly, SKN-1 can also directly control the expression of UPRER components (including Xbp1, ATF-6 and Bip) by binding to their promoter regions, independent of oxidative stress. Studies in worms have further established the UPRER as a critical determinant of longevity, and Xbp1 extends lifespan by improving ER stress resistance. Strikingly, local activation of the UPRER can trigger UPRER responses in distant tissues, indicating that endocrine processes exist that coordinate such stress responses across cells and tissues. Results support the notion that improving proteostasis by boosting ER folding capacity improves long-term tissue homeostasis. These effects seem to be largely mediated by cell-autonomous integration of the UPRER and redox response by JNK and CncC, but non-autonomous effects of ER stress on ISC proliferation are also observed when knocking down Xbp1 in EBs or ECs selectively. Furthermore, JNK is activated broadly in the intestinal epithelium when Xbp1 or Hrd1 are knocked down in ISCs and EBs, suggesting that non-autonomous interactions between cells experiencing ER stress also influence the regenerative response of this tissue. The molecular events regulating the coordination between cell-autonomous and non-autonomous events in the ER stress response of ISCs are subject of current investigation (Wang, 2014). In the small intestine of mice, the UPRER influences regenerative activity not only by influencing ISCs and transit amplifying cells directly, but also by influencing intestinal immune homeostasis. Loss of Xbp1 in intestinal epithelial cells (IECs) leads to apoptosis of secretory Paneth cells and goblet cells, and this pathology is associated with inflammation and higher risk of IBD. Deregulation of innate immune responses by the UPRER is also found in human patients, as well as in C. elegans. It can therefore be anticipated that the age-related increase in ER stress in the fly intestine also influences innate immune homeostasis and may contribute to commensal dysbiosis, which has been recently shown to be a driving factor in the age-related loss of proliferative homeostasis of the fly intestine. It will be intriguing to dissect the interaction between the UPRER machinery, innate immune signaling in ECs, commensal homeostasis and stem cell function in detail, and it can be anticipated that these interactions have a significant effect on overall lifespan of the organism (Wang, 2014). Mutations in VCP (Valosin-containing protein), an AAA ATPase critical for ER-associated degradation, are linked to IBMPFD (Inclusion body myopathy with Paget disease and frontotemporal dementia). Using a Drosophila IBMPFD model, this study identified the ER protein Derlin-1 as a modifier of pathogenic TER94 (the fly VCP homolog) mutants. Derlin-1 binds to TER94 directly, and this interaction is essential for Derlin-1 overexpression to suppress the pathogenic TER94-induced neurodegeneration. Derlin-1 overexpression reduces the elevated ATPase activity of pathogenic TER94, implying that IBMPFD is caused by ATPase hyper-activation. Under physiological condition, Derlin-1 expression is increased upon ER stress to recruit TER94 to the ER. However, in response to severe ER stress, Derlin-1 is required for activating apoptosis to eliminate damaged cells. This pro-apoptotic response is mimicked by Derlin-1 overexpression, which elicits acute ER stress and triggers apoptosis via a novel C-terminal motif (α). As this Derlin-1-dependent cell death is negated by TER94 overexpression, the study proposes that while Derlin-1 and VCP work cooperatively in ER stress response, their imbalance has a role in removing cells suffering prolonged ER stress (Liang, 2014). Derlin-1 modulates TER94 overexpression induced neurodegeneration. Direct interaction with TER94 is essential for Derlin-1-dependent suppression. Derlin-1 overexpression reduces TER94 ATPase activity. Derlin-1 recruits TER94 to the ER in ERAD. Derlin-1 is required for ER stress-induced caspase activation. Counterbalance between Derlin-1 and TER94 is essential to prevent cytotoxicity. Derlin-1 overexpression induces ER stress and mitochondrial apoptosis. Nutritional restriction leads to protein translation attenuation that results in the storage and degradation of free mRNAs in cytoplasmic assemblies. This study shows that in Drosophila S2 cells, amino-acid starvation also leads to the inhibition of another major anabolic pathway, the protein transport through the secretory pathway, and to the formation of a novel reversible non-membrane bound stress assembly, the Sec body that incorporates components of the ER exit sites (ERES). Sec body formation does not depend on membrane traffic in the early secretory pathway, yet requires both Sec23 and Sec24AB. Sec bodies have liquid droplet-like properties, and they act as a protective reservoir for ERES components to rebuild a functional secretory pathway after re-addition of amino-acids acting as a part of a survival mechanism. Taken together, the study proposes that the formation of these structures is a novel stress response mechanism to provide cell viability during and after nutrient stress (Zacharogianni, 2014). Amino-acid starvation of Drosophila S2 cells induces the remodeling of ERES components into Sec bodies. Sec bodies are a novel stress assembly which form at ERES. Sec body assembly does not require active transport through the early secretory pathway but depends on specific ERES components. Sec bodies display liquid droplet-like properties. Sec bodies have FRAP properties compatible with liquid droplets. Sec bodies act as a reservoir for COPII components and are necessary for cell viability during amino-acid starvation and recovery after stress relief. Expression of genes in the endoplasmic reticulum (ER) beyond its protein folding capacity activates signaling pathways that are collectively referred to as the Unfolded Protein Response (UPR). A major branch of the UPR pathway is mediated by IRE1, an ER-tethered endonuclease. Upon ER stress-induced activation, IRE1 splices the mRNA of XBP1, thereby generating an active isoform of this transcription factor. During normal Drosophila development, tissues with high protein secretory load show signs of IRE1/XBP1 activity indicative of inherent ER stress associated with those cell types. This study reports that the XBP1 promoter activity itself is enhanced in secretory tissues of Drosophila, and it can be induced by excessive ER stress. Specifically, the study developed a Drosophila XBP1 transcription reporter by placing dsRed under the control of the XBP1 intergenic sequence. DsRed expression in these xbp1p>dsRed transgenic flies shows patterns similar to that of xbp1 transcript distribution. In healthy developing flies, the reporter expression is highest in salivary glands and the intestine. In the adult, the male reproductive organs show high levels of dsRed. These tissues are known to have high protein secretory load. Consistently, the xbp1p>dsRed reporter is induced by excessive ER stress caused by mutant Rhodopsin-1 overexpression. These results suggest that secretory cells suffer from inherent ER stress, and the xbp1p>dsRed flies provide a useful tool in studying the function and homeostasis of those cells (Ryoo, 2013). The XBP1 expression reporter is active in highly secretory tissues. IRE1 activity is detected in and beyond the cells expressing the XBP1 transcription reporter. The XBP1 reporter is highly expressed in the adult male reproductory organs. The XBP1 promoter is activated by excessive ER stress. The XBP1 expression reporter is expressed in the ire1 −/− larva. The ability of cells to survive and recover from deteriorating effects of endoplasmic reticulum (ER) stress relies on the unfolded protein response (UPR). The signaling pathway of Ire1p mediate mRNA splicing plays diverge role in UPR response in different organisms from yeast to mammals. This study shows that Ire1p mediated XBP1 mRNA splicing mechanism is extremely conserved and exerts a critical role for modulating Xbp1 protein synthesis in Drosophila melanogaster. This system is operative in Drosophila S2 cells as a prominent mechanism to mediate transcriptional activation of UPR responsive genes during ER stress (Plongthongkum, 2007). Drosophila XBP1 mRNA transcript is altered during ER stress. Spliced XBP1 is translated into protein exhibiting potent transcriptional factor activity. Transcriptional activation of Drosophila UPR responsive gene is mediated by Ire1-XBP1 pathway.